Undoubtedly, Viking appliances are a high-end choice that is not only modish the appearance of your home, but will also give you the ultimate capabilities with the latest technologies. Despite the high-quality of Viking appliances, there are still some infrequent issues get up due to normal wear and tear. 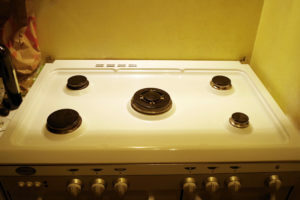 When a Viking appliance breaks, it’s not always an affordable option to simply replace it. Instead, you need a trusted Viking repair company to come out and fix the problem quickly. Appliance Repair Medic is the premier choice for Viking Appliance Repair NJ. We offer quality, affordable repair services for all Viking appliances. In an effort to bring the heavy-duty performance and appeal of commercial and residential cooking equipment into the home, Appliance Repair Medic has successful completed his journey of 14 years. Today, this culinary repair and maintenance enterprise stands among the top tier of major household appliance machines, with an ever-growing array of Viking appliance repair NJ for discerning homeowners. By opting our services, it won’t take you long at all to entitle us champions of Viking Appliance Repair business in NJ. We’re better because we care about you in following ways! We ensure your big family celebrations aren’t disturbed by a broken appliance, we are happy to fix Viking appliances in New Jersey and nearby areas on holidays. We incorporate specialists that get your Viking appliances up and running as quickly as possible. Whatever issue you’ve, we encounter and provide a list of swift repair solutions. In addition to being fast, we promise the repairs will also be accurate. 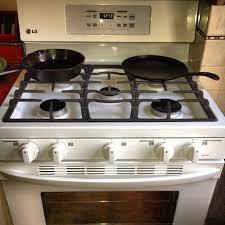 We guarantee to overhaul Viking appliances to uphold the continuity of residential and commercial kitchen. Not only will we resolve the immediate issue, we’ll also examine your Viking appliance and make sure there aren’t signs of future issues. Our Viking appliances repair NJ technicians are highly proficient. Throughout New Jersey, our technicians are accessible for the maintenance and repair of any Viking appliances. Not necessarily maintenance or repair, our crew can also be taken into consideration for consultation regarding Viking appliances. However, we teach you how to properly maintain them to avoid future problems once the repair is complete. 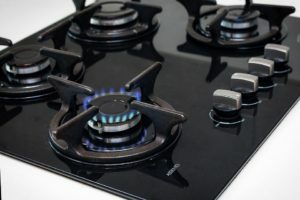 While Appliance Repair Medic offers an extended warranty for new appliance purchases, the cost can still be astronomical to have even basic repairs due to the specific guidelines for what constitutes approved repairs. At Appliance Repair Medic, we make an arrangement of the affordable alternative to our comprehensive Viking repair services NJ at the most competitive prices. In spite of tremendous growth and success, Appliance Repair Medic remains essentially the same entrepreneurial company it was at its inception. This leading, close-knit company culture serves its potential customers well in order to strongly contribute to the company’s ongoing growth and success. By offering only the very finest, highest quality professional appliances for the home, Viking will continue its aggressive growth and expansion.